In case you were anxious about the decided lack of cupcake shops in the area (yes, this is something called "sarcasm"), you'll be relieved to know that Crumbs Bake Shop is moving forward with a plan for a McDonald's-like saturation of dessert vending. Crumbs Bake Shop says it will open its first Washington-area locations in March, with stores in Georgetown, Cleveland Park, Foggy Bottom, Rockville, Clarendon and Reston. Yep, there's no need to just try one location to start, when you can have five instead. Plus, with Georgetown and Foggy Bottom in the mix, you know that Washingtonians will be relieved they won't have to walk more than eight blocks for icing-slathered goodness. 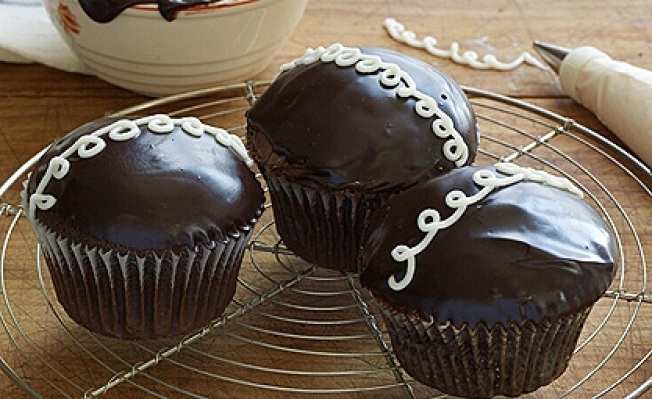 Crumbs already has 18 East Coast locations and five on the West Coast, with more than 50 different kinds of cupcakes. Flavors include M&M, caramel apple, fluffernutter, and a vampire-style Love at First Bite. So, rejoice, there will be five more cupcake shops! We definitely didn't have enough already, with only Georgetown Cupcake, Baked and Wired, Hello Cupcake, Something Sweet, Cupcakes Actually, Sticky Fingers Bakery, Cake Love... (deep breath) ...Curbside Cupcakes, Fine Sweete Shop, Couture Cupcakes, Firehook and Red Velvet Cupcakery.